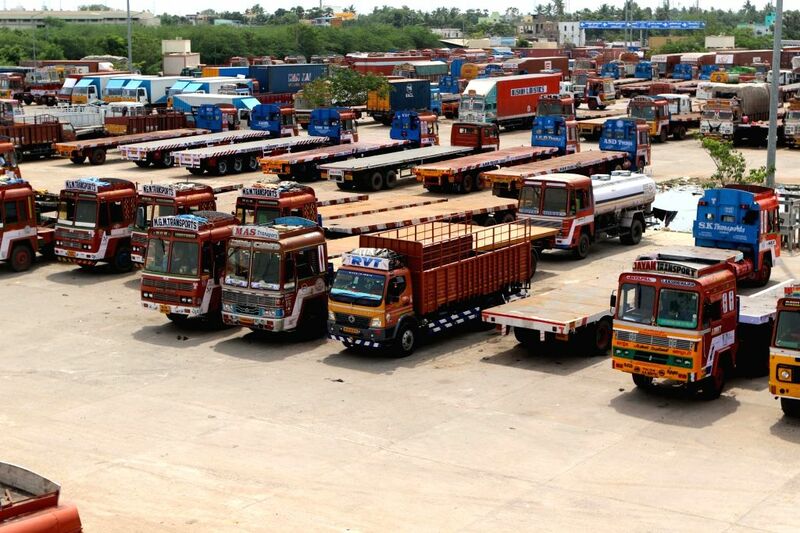 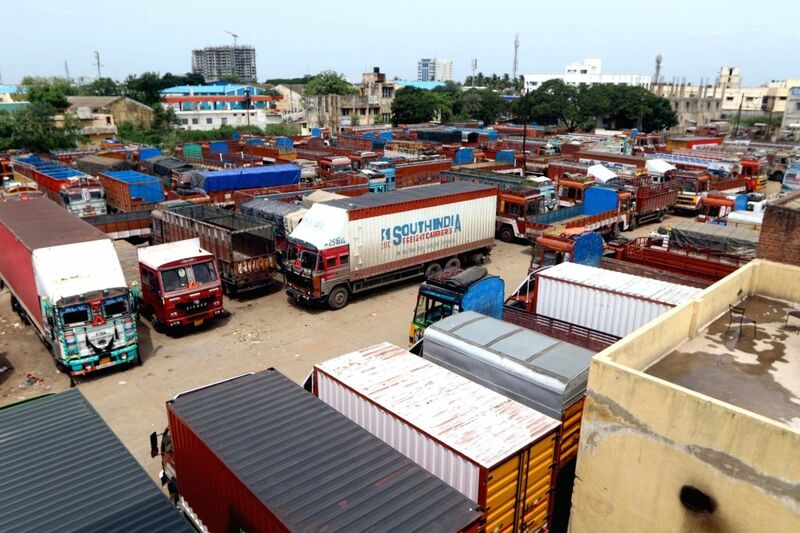 Chennai: Trucks remain parked in a Chennai depot on July 20, 2018. 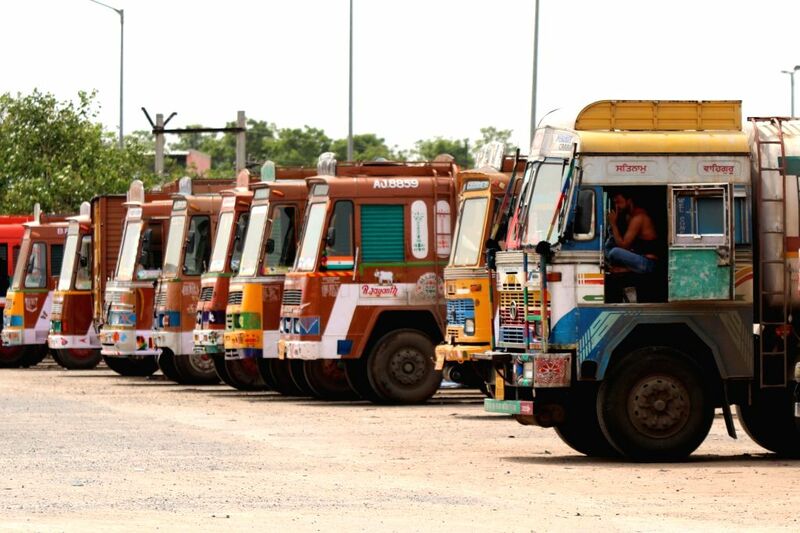 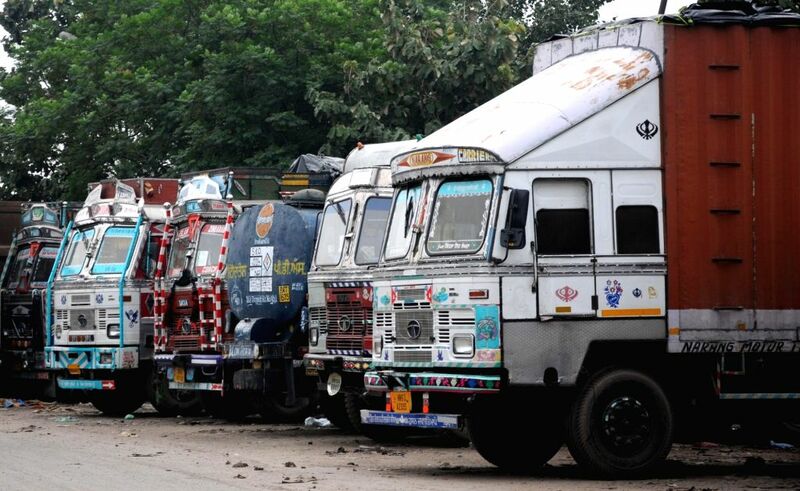 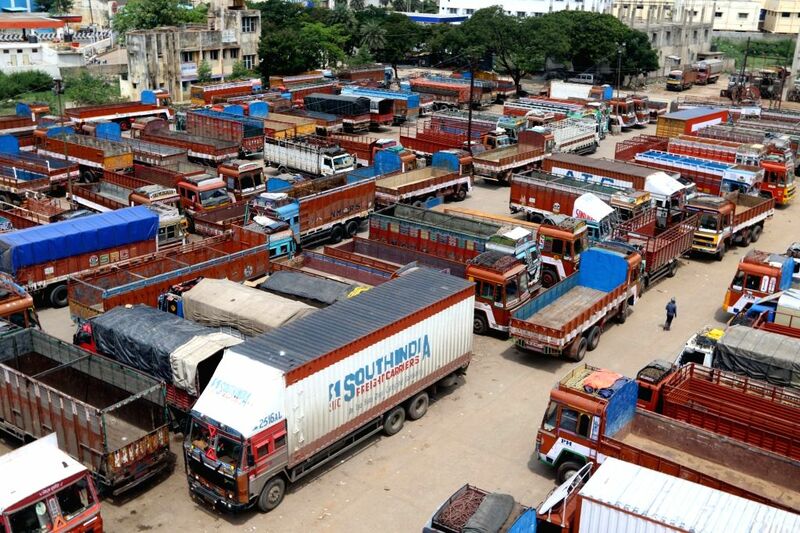 Over 90 lakh trucks and around 50 lakh buses, tempos and tourist vehicles went off the roads on Friday as their owners began an indefinite strike to press for their various demands, including reduction in diesel prices. 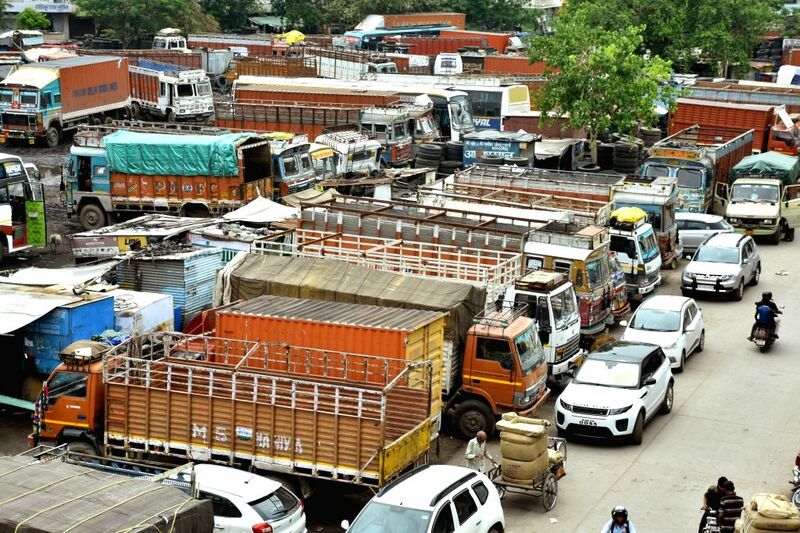 Pick-up or delivery of goods has been hit from manufacturing to consumer centres, cargo transport from airports, seaports and railway yards has been halted while movement of people in private buses and tourist vehicles was affected with even school-buses on strike. 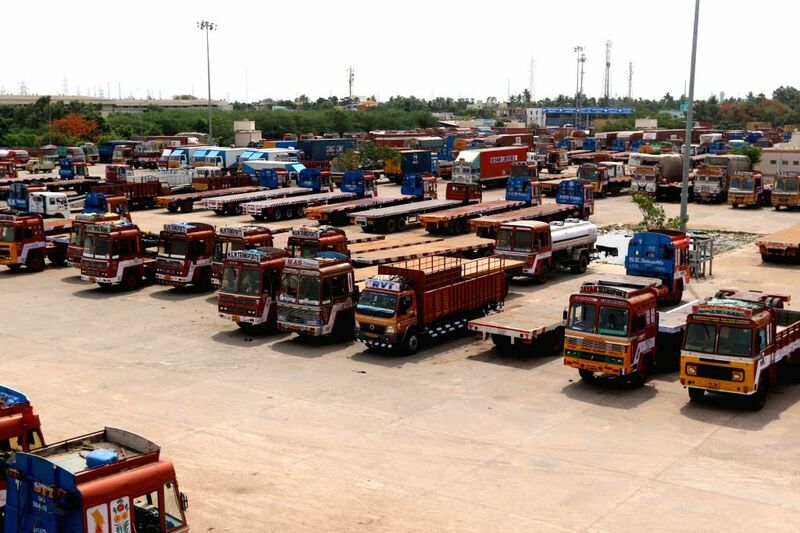 Trucks remain parked in an Amritsar depot on July 20, 2018. 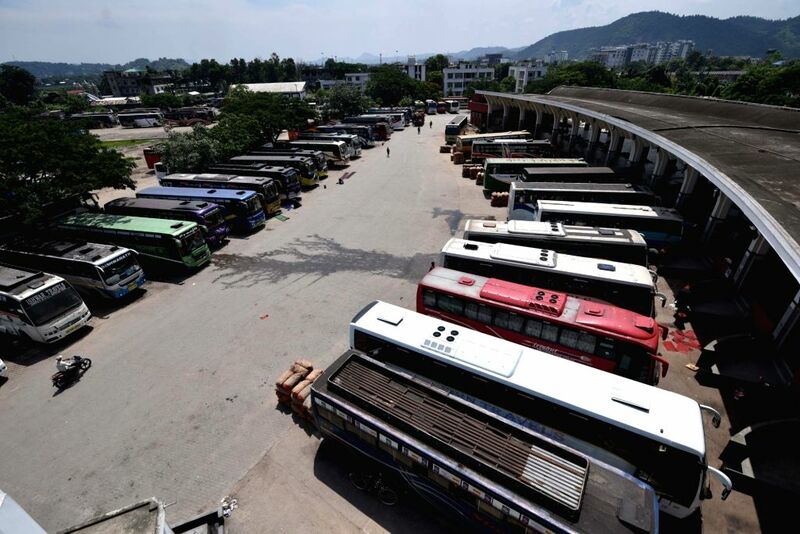 Buses remain parked in a Guwahati depot on July 20, 2018.